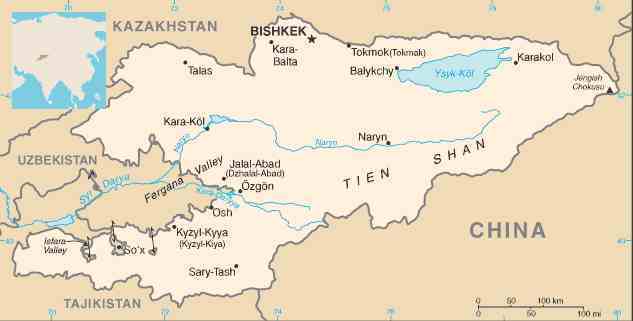 (World Watch Monitor) — A young Protestant in Kyrgyzstan has been left with a fractured jaw after being attacked by three men, Forum 18 reports. Eldos Sattar uuly, 25, was attacked in his uncle’s house in the village of Tamchi, in the north-eastern Issyk-Kul region. A villager told Forum 18 that Sattar uuly had been threatened before by a group of young men, with warnings to “renounce his Christian faith and convert to Islam”. According to the villager, the three attackers hit and kicked him to the floor on the night of Oct. 16. “They shouted at him that he is a kafir [infidel in Arabic], and that he had betrayed Islam. Then they kicked his head while on the floor, breaking several of his front teeth and his jaw-bone,” the villager said. Before leaving, they reportedly told him that they’d return to kill him if he did not leave the village by the morning.